Interested in earning a medical assisting diploma? There are many different reasons to get your medical assisting diploma and become a medical assistant. Medical assisting is becoming increasingly popular with students entering the medical career field each year and is highly rewarding. Medical Assistant is a great choice whether you are looking into it as a career or a stepping stone to another position. Medical assistants do a variety of tasks around the office. You can find them working with patients, taking vitals and performing preliminary screenings. Medical assistants can schedule patients, order supplies and resolve payment issues. Medical assistants are incredibly useful and necessary as the backbone of all hospitals, healthcare facilities and medical offices. Why Get a Medical Assisting Diploma? Interested in getting a diploma in medical assisting? There are many beneficial reasons for doing so, including the fact that you can have an important job helping patients, it is a growing industry, you are able to work with colleagues who care, you can obtain a diploma within a short time frame, your career can provide personal fulfillment, and there are numerous job opportunities with flexible work schedules. It typically takes less than a year to become a medical assistant. 9 months from now, you could be a medical assistant in the healthcare field, working in a medical office or hospital. You don’t have to spend years in school. 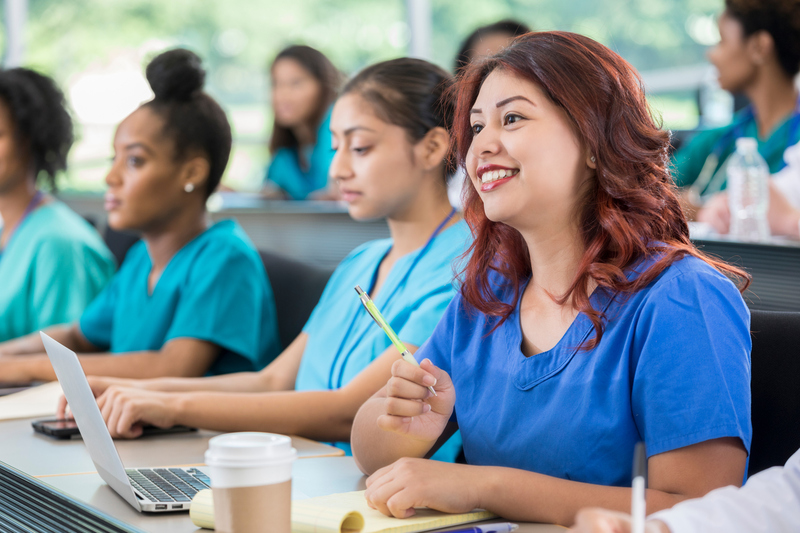 A medical assisting diploma is perfect for those that want a rewarding career and may have obligations that stop them from attending a traditional 4-year college. Being a medical assistant means being able to help patients daily. As the first person a patient sees, you will want to make a good first impression. As a caring and nurturing individual, you can help calm patients dealing with the stress that comes with illness and injury. The medical assistant can create a comfortable place for patients to get treatment and stay healthy. As a medical assistant, you will be working alongside colleagues who care about their patients as much as you do. You will work with nurses, doctors, phlebotomists and other medical specialists. Your colleagues are in the healthcare field because they want to help others. Working with these kinds of individuals in a professional environment is incredibly rewarding and inspiring. Many medical assistants work in the field for their entire careers while others take a break from working as a medical assistant only to find themselves returning years later. A career as a medical assistant is one you can always fall back on, even after being out of the field for periods of time. Because medical assistants are in high demand, work is readily available after graduation. Medical assistants are needed in a wide range of healthcare settings such as doctor’s offices, hospitals and nursing homes. Medical assistants can work morning, afternoon or nighttime shifts. The medical assistant may choose to work part-time or full-time. This is essential for busy individuals who balance work with their home and family life. If you are tired of going from one job to the next, it might be time to earn your diploma to become a medical assistant in the healthcare field. This is a wonderful opportunity to enjoy a rewarding career helping others alongside caring colleagues, while maintaining a flexible work schedule if you need to take care of family members or children. Did learning about the reasons to get a medical assisting diploma interest you? Interested in working with colleagues that want to help their patients stay healthy? Ready for an exciting new career in the medical assisting field? PCI Health Training Center’s Medical Assistant program prepares graduates to work as an entry-level Medical Assistant. Within this general career category there are several specialty areas, including Medical Administrative Office Assistant, Clinic Assistant, Medical Office Manager, Phlebotomist, Physical Therapy Aide in a doctor’s office, clinic or hospital out-patient clinic. Contact PCI Health Training Center for more information on how to become a Medical Assistant and start a rewarding career today.